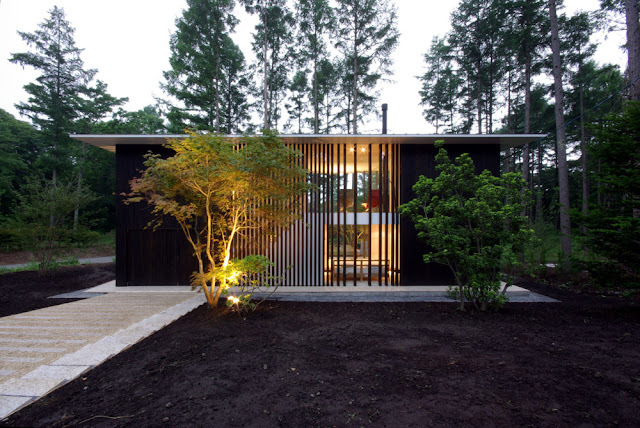 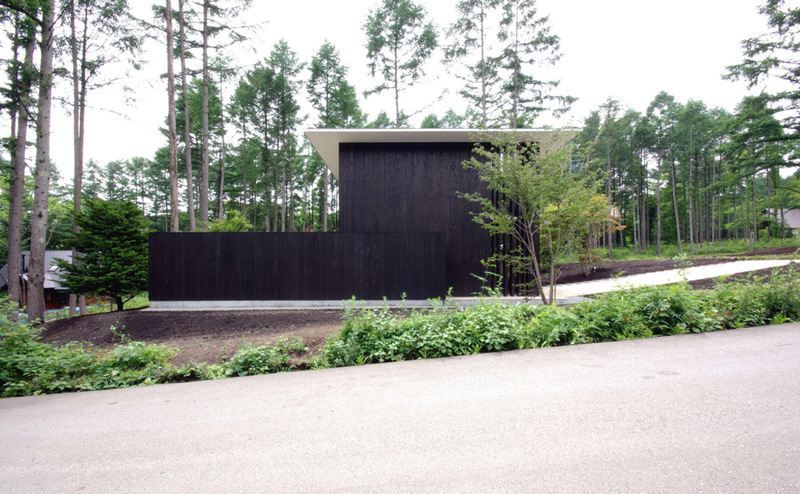 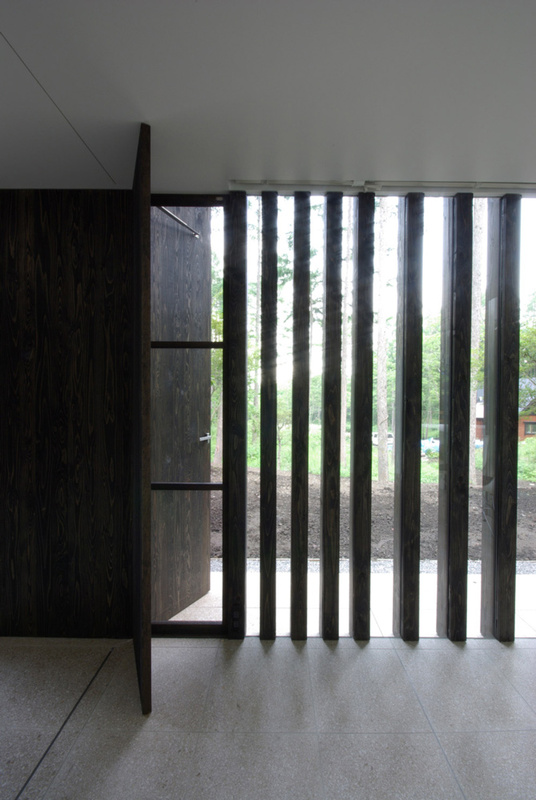 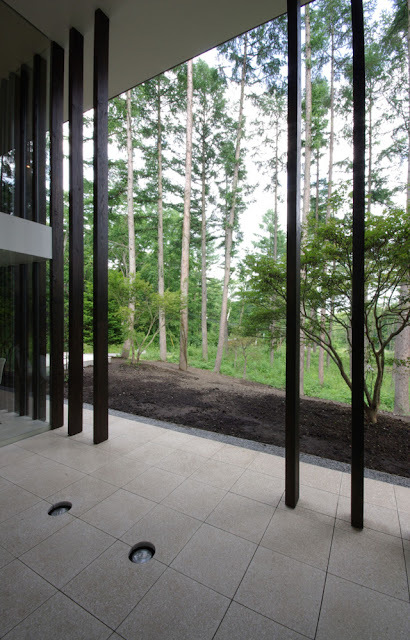 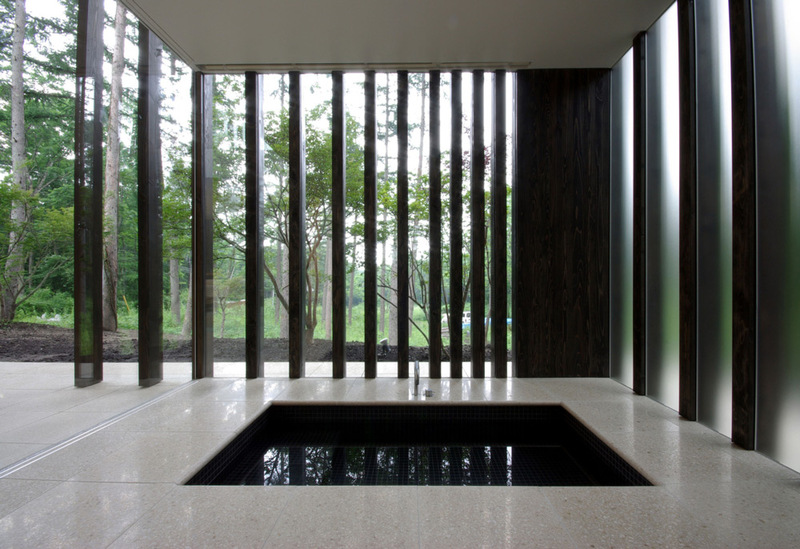 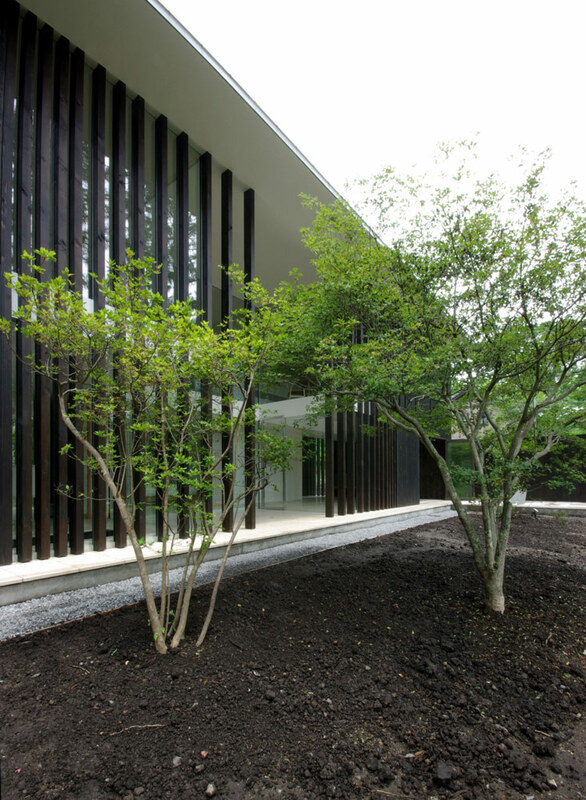 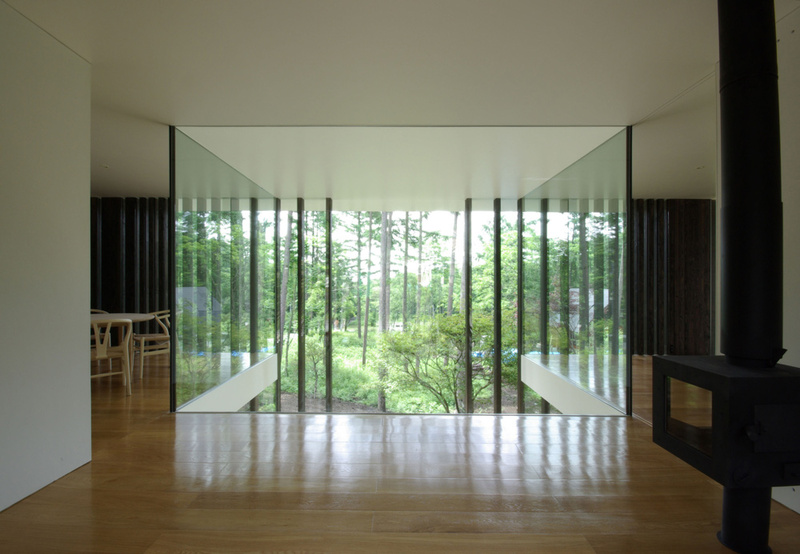 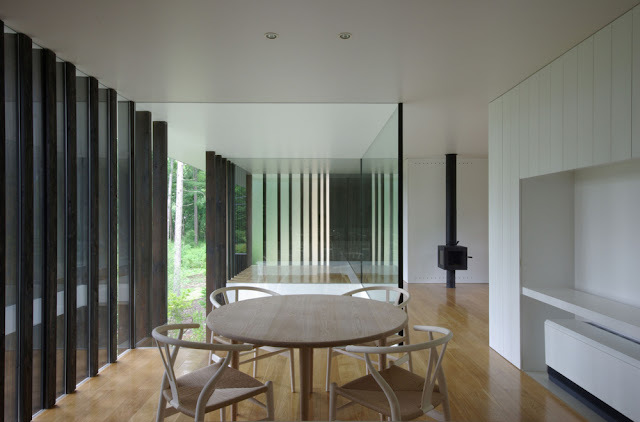 Architects Case Design Studio designed this minimalist house in Sengataki, Nagano, Japan, with views of a surrounding grove of trees, through a series of vertical lattice, colored black. 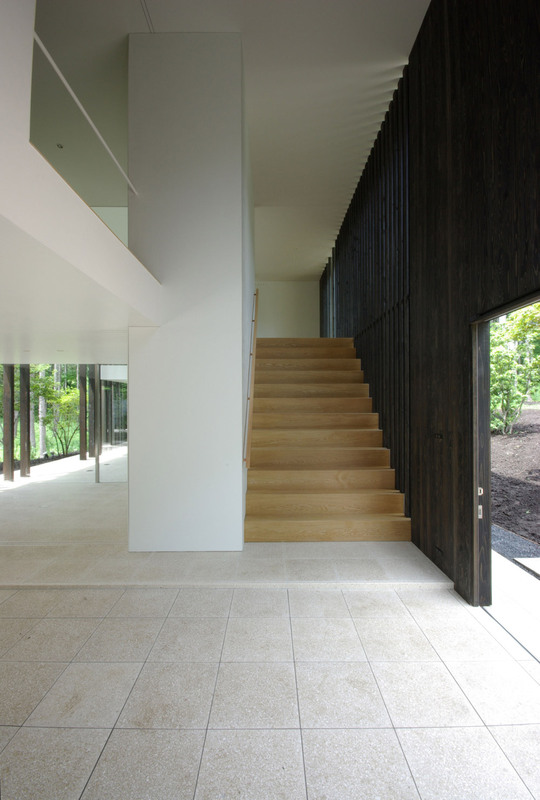 “House in Sengataki sits on a gentle southern slope, facing roads in the north and east and surrounded by a grove of trees. 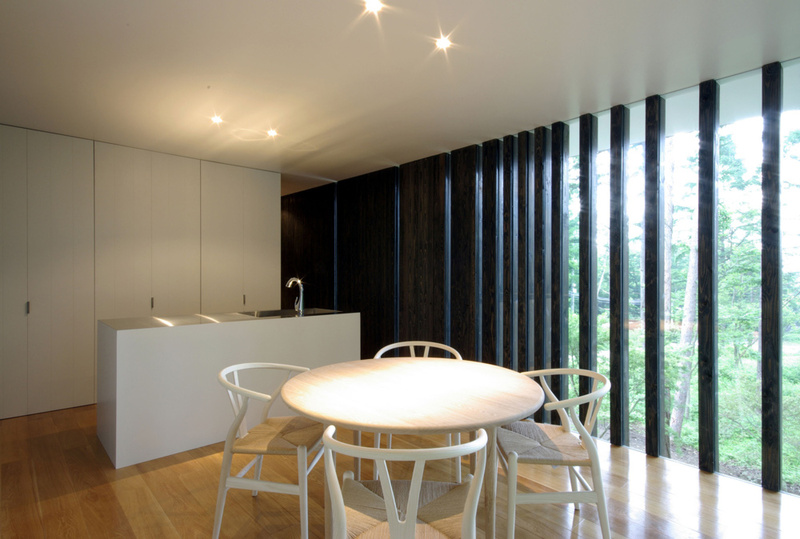 In the main floor is the dinning room and living room, and the second floor features the studio and bedrooms. 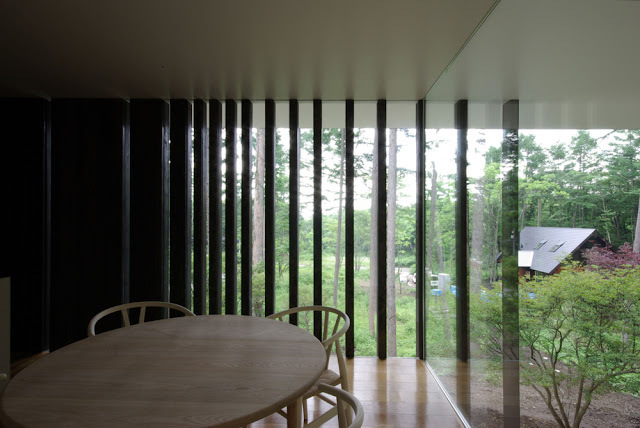 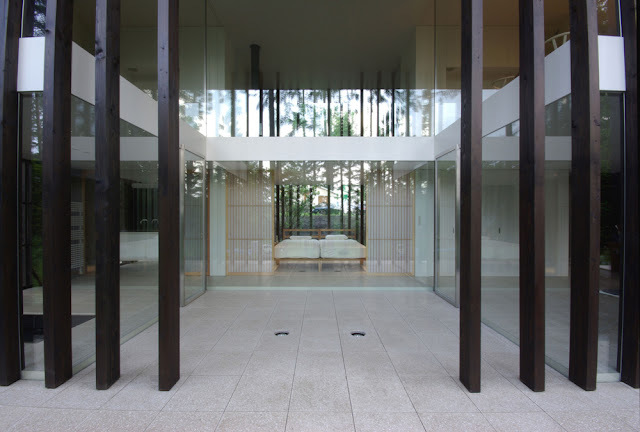 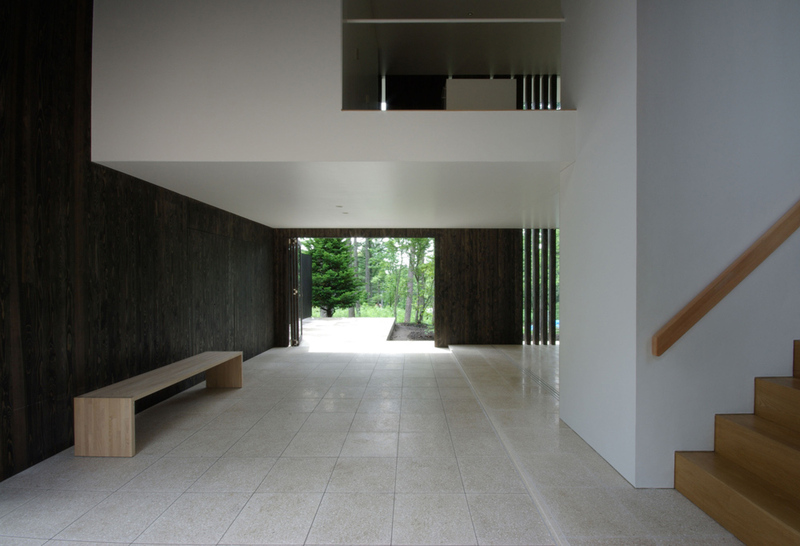 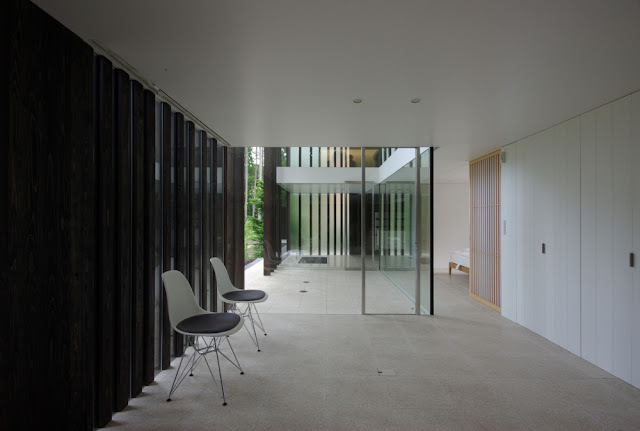 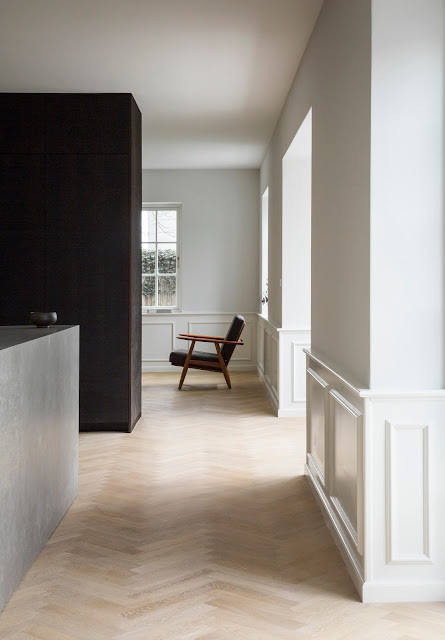 In order to cut a line of views to the surroundings, we open to the exterior to bring light inside the whole house, and providing privacy at the same time with the use of vertical lattice.